PARIS | French authorities have been flummoxed by the string of sightings of drones in France in recent weeks that have seen them illicitly fly over 17 nuclear power plants and a nuclear submarine base, as well as the Elysée Palace (the president’s home), the Eiffel Tower and the US embassy in Paris. Authorities were first alerted to unexplained drone flights in October, when they were seen around nuclear power plants. Less than two weeks after the Charlie Hebdo shootings, a drone flew over the Elysée palace and days later several were spotted near a nuclear submarine base in Brittany, one of the most protected sites in the country. While police insist there is nothing to worry about, the sightings have raised public fears that terrorists could find a way to attach explosives or toxic chemicals to the drones or could be photographing the sites to plan attacks. Police say the drones spotted so far are too light and flimsy to carry explosives or weapons. Last Tuesday night (March 3), a policeman reportedly spotted one hovering outside the offices of Libération newspaper, which is currently housing Charlie Hebdo – the satirical magazine targeted in an attack by Islamist gunmen in January that killed 12. A police patrol gave chase to another drone at the porte de Montreuil, which leads to the ring road southeast of the capital. They were unable to keep up with it due to traffic, but the drone was then spotted at the nearby Porte de Vincennes, where another Islamist shot dead four people at a Jewish supermarket in the January attacks. It was retrieved by four men who fled in a black car onto Paris’s “périphérique,” or ring road. Little is known about the motivations of the drone owners and whether they are merely thrill-seekers playing with their new “toys” or individuals with more sinister aims. The Paris prosecutor has launched an inquiry into “aircraft flight in a forbidden zone,” which is being led by Paris’s air transport gendarmes unit. 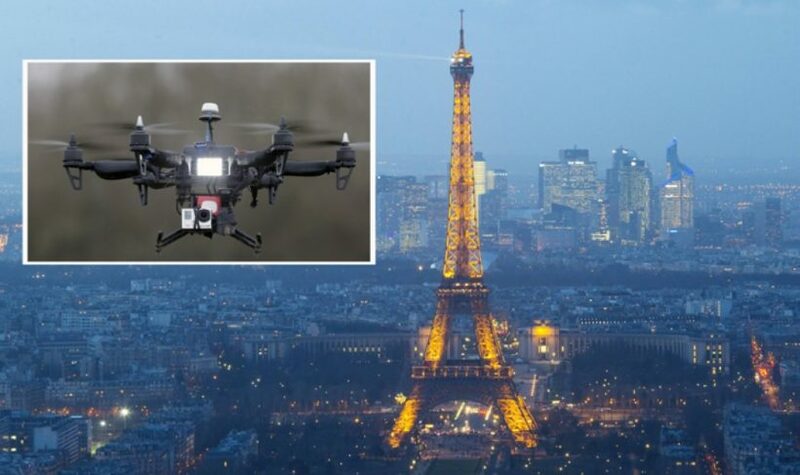 Bernard Cazeneuve, the interior minister, said there have been “60 overflights of drones” around France since October 5 and that the government had taken “preventative measures to inform users of these craft at the moment of purchase of the penalties they face for breaking the law”. The defense ministry recently issued a tender to develop systems enabling “the surveillance, detection, or even partial or total neutralization” of drones while respecting civil liberties. A national security report last month recommended creating a drone register and obliging them to have in-built detection systems. Drone flights without permission are illegal in France. The maximum penalty is a year in prison and a €75,000 ($81,450) fine. AMMAN | The U.S. Peace Corps said it is temporarily suspending its program in Jordan because of the “regional environment,” highlighting growing security concerns among some foreigners after Jordan raised its profile in the battle against Islamic State of Iraq and Syria (ISIS) militants. The Peace Corps announcement came after the U.S. Embassy in Jordan warned last month of a potential threat of attacks against “high-end malls” in the capital Amman. Jordan was the last Mideast country still hosting Peace Corps volunteers. 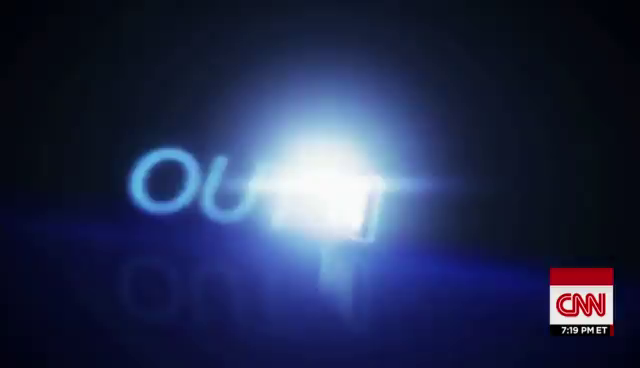 The organization had in previous decades sent Americans to Yemen, Oman, and Iran. 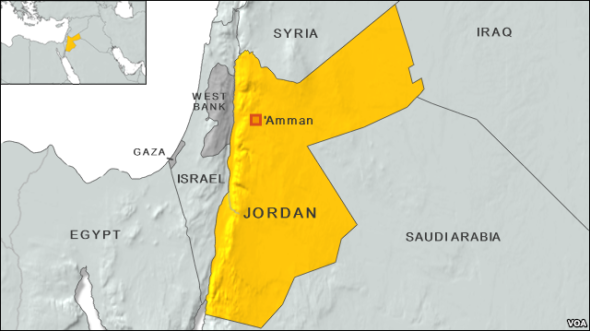 Jordan has long been perceived as an island of relative stability in a turbulent region, a country that offers shelter to war refugees from neighboring countries. Harm to that image could pose a growing threat to important branches of Jordan’s economy, including tourism and related businesses. Jordanian government spokesman Mohammed al-Momani declined to comment Sunday on the decision by the Peace Corps, which was posted on the agency’s website over the weekend. Maintaining Jordan’s image as a stable country is critical for the economy, he said. Jordan joined a U.S.-led coalition against ISIS in September, but significantly raised its profile last month, after the extremists released a video showing a captured Jordanian fighter pilot trapped in a cage [being burned alive]. ISIS’s killing of the pilot, Lt. Muath al-Kaseasbeh, set off widespread anger among Jordanians and warnings by the authorities that they would retaliate by carrying out more airstrikes against ISIS targets. The Peace Corps said 37 volunteers had been working with local communities on youth development, and that all volunteers have left Jordan. Citing the “current regional environment” for the pullout, the agency said it hopes the volunteers can return later. The Peace Corps’ website says the agency operates in 64 countries and currently has more than 6,800 volunteers and trainees. Last summer, at the height of the Ebola outbreak, the Peace Corps evacuated its volunteers from the three West African countries worst-hit. TOKYO | The heir to Japan’s Chrysanthemum Throne has called on the nation to relay “correctly” the misery of World War II to future generations, a comment that is being seen as a rebuke to the present nationalistic government. 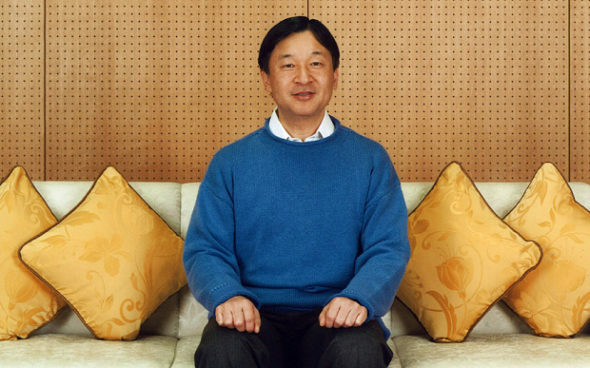 Japanese Crown Prince Naruhito posing at his residence at the Togu Palace in Tokyo. Naruhito, the crown prince, used a Feb. 23 press conference marking his 55th birthday to express opinions that would be considered mild elsewhere but are a rare example of Japan’s imperial family passing comment on the nation’s elected leaders. “I myself did not experience the war… but I think that it is important today, when memories of the war are fading, to look back humbly on the past and correctly pass on the tragic experiences and history Japan pursued from the generation which experienced the war to those without direct knowledge,” the prince said. “Clearly the agency believes Mr. Abe has gone too far and that it will be bad for the nation if he continues to take the line that Japan did nothing wrong in the early decades of the last century,” he said. “The [Imperial Household Agency] will be particularly keen to avoid any new questions being raised about the imperial family’s role in and responsibility for Japan’s colonial occupations and the war”, he added. b) What is France’s current law on drone use? What changes does teh defense ministry propose? 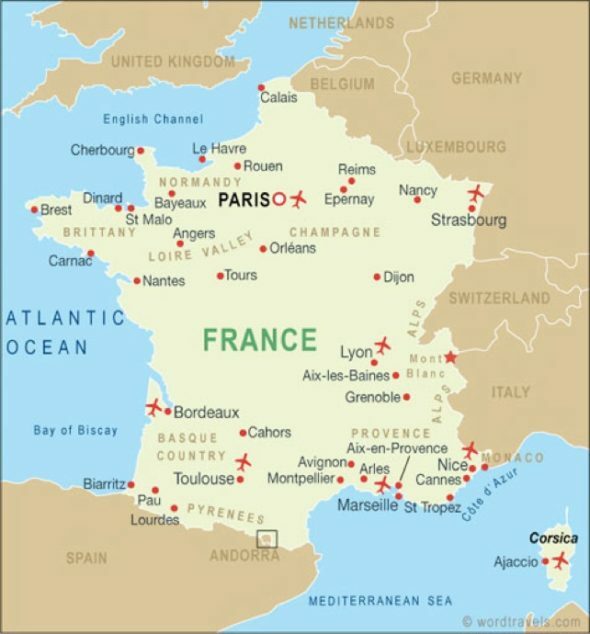 c) Considering the number of mysterious drones flown over military and other secure locations, do you think the French government should make these changes, none, or something more drastic? Explain your answer. d) If a large number of drones were flown by anonymous persons over secure locations, or even over your school, a sporting event, a mall, etc., would you support a U.S. ban on drones or a limit on drone use, et.al? Explain your answer. b) Why did the Peace Corps suspend its program in Jordan? c) What did Jordanian parliament member Mustafa Hamarneh accuse U.S. officials of doing? d) What do you think his motive is for making this assertion? e) Considering the threats from ISIS and other Islamic terrorists, do you think Americans in various volunteer organizations should continue to work in the Middle East? and/or in Jordan specifically? b) Japan Times reported on Feb. 25: “One question is whether Prime Minister Abe will reiterate crucial aspects of the statement issued on the 50th anniversary [of WWII] by Prime Minister Tomiichi Murayama, who offered apologies and used the terms “colonial rule” and “aggression.” On Feb. 25, a 16-member advisory panel of scholars, business leaders and other experts held its first meeting to discuss what the contents of Abe’s statement should be. After a series of meetings, the panel is expected to report to the prime minister by summer. Abe has said he will mention Japan’s remorse over the war, its postwar history as a pacifist state, and future contributions to peace and stability in the Asia-Pacific region and beyond. Read the “Background” below the questions. 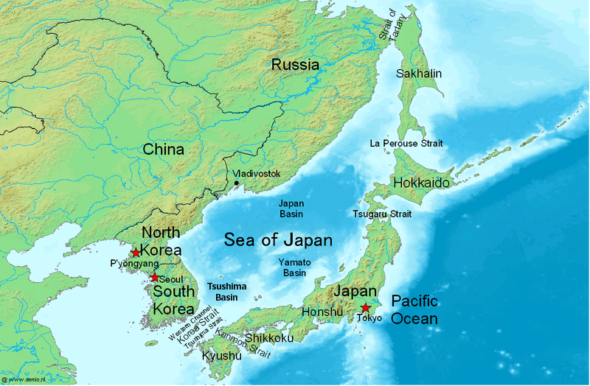 In Japan’s constitution, the “Peace Clause” (Article 9), renounced war and banned Japan from maintaining any armed forces. -Considering the worldwide scourge of Islamic terrorism today, do you think Prime Minister Abe is correct in wanting to have a strong military? -Do you think the Crown Prince and others are correct in insisting that the Japanese government show proper remorse for the atrocities committed by the Japanese government/military during WWII? Prime Minister Abe said at a news conference [on July 1, 2014] that Japan remains a peace-loving, defense-oriented nation, that will not launch a war against other countries and will not join wars waged by other countries. But in view of the changing security environment, Japan must revise its defense posture to protect Japanese lives, he said.